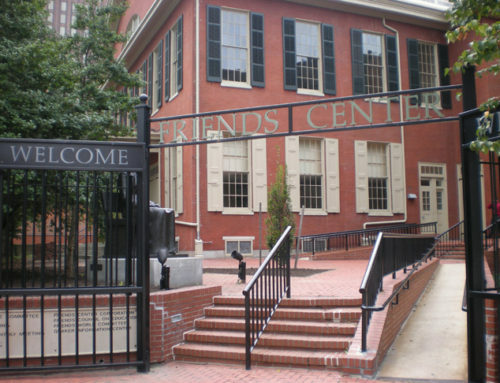 Headquarters for one of Philadelphia’s largest employers, this single-tenant building is an icon of Center City’s skyline. 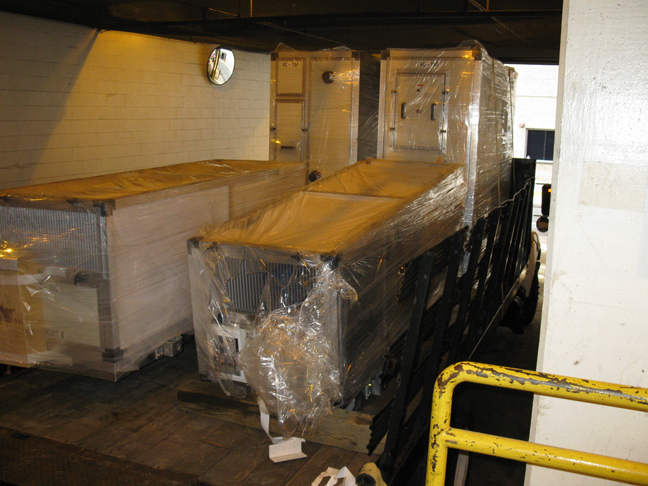 Due to the age of this building, 48 50-ton package units in the building needed to be replaced. 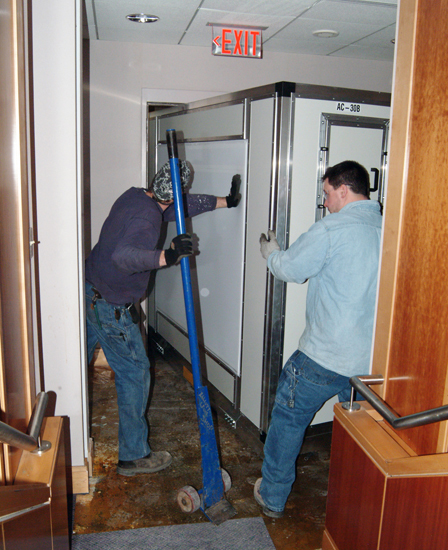 A small-size freight elevator made it impossible to move completed units to each floor. No work could be done during normal business hours. 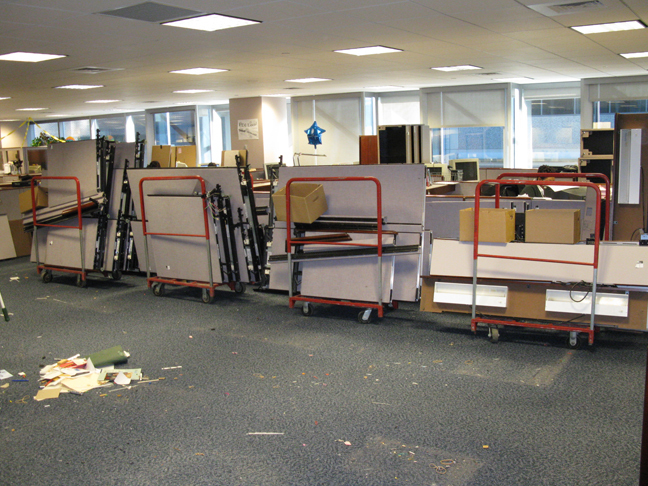 In addition, office partitions restricted the space in front of the small utility rooms on each floor. The client manages confidential documents, so security was a primary concern as well. 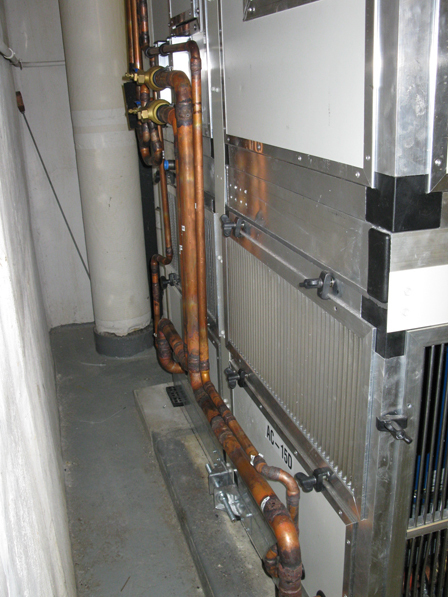 Elliott-Lewis designed and developed a modular replacement unit specifically for this client application. Then Elliott-Lewis selected a manufacturer to build the units that would fit the freight elevators and allow fast assembly in the constricted area available. 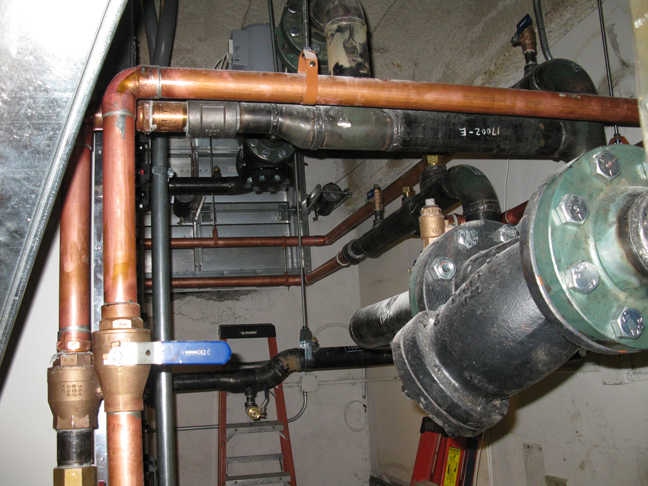 Sheet metal and piping were prefabricated off site. 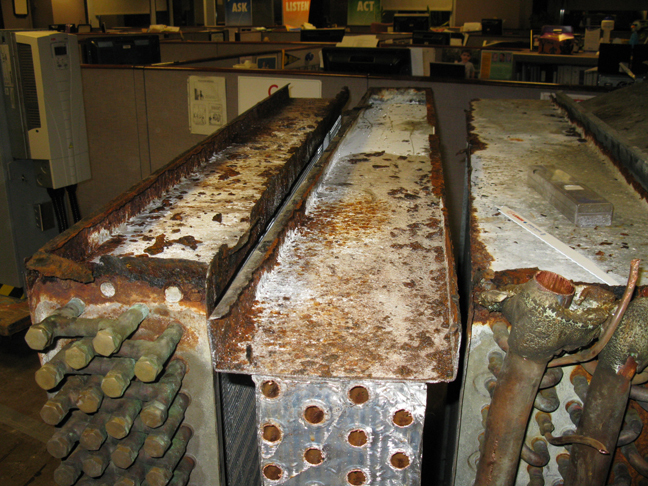 The equipment was tested before it left the factory, leaving the refrigerant charged. 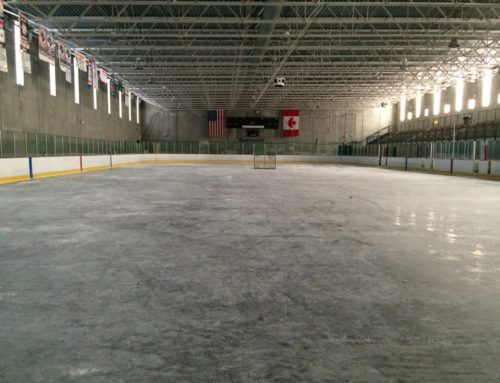 Specified electrical connections were designed to be virtually “plug and play,” which reduced the field labor required to activate the electrical components in the equipment. A schedule was created to replace 8 units per year. Each replacement was executed over a single weekend. 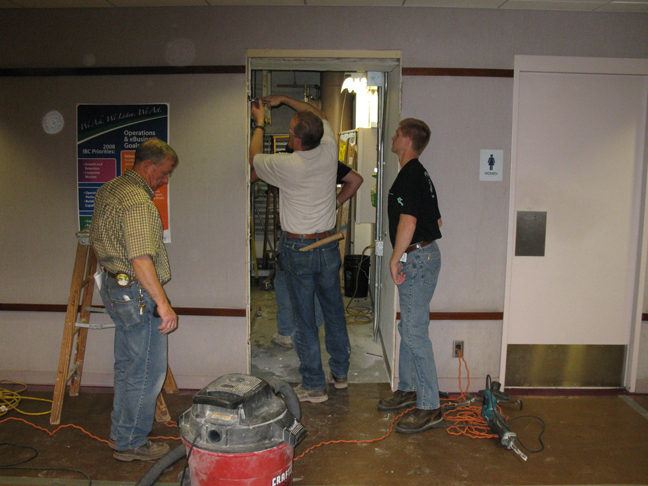 Work began at 5 PM with the removal of drywall around corridor openings and the breakdown of office cubicles fronting the corridor between the elevator and the equipment room. 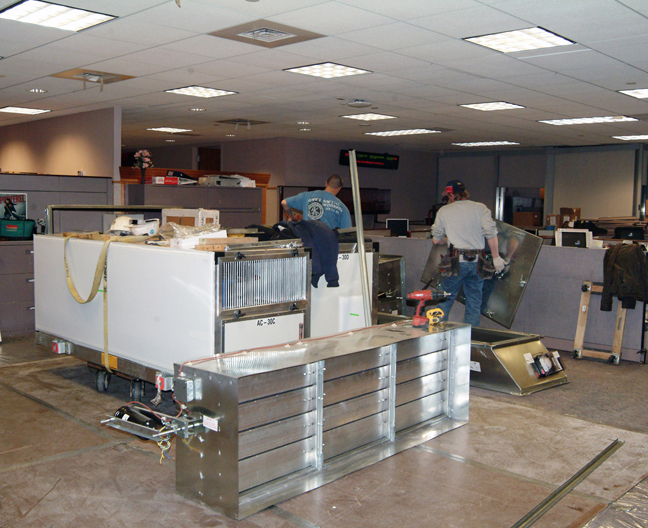 At the same time, the existing packaged unit was demolished and prepared for removal from the building. Working round the clock in shifts, the Elliott-Lewis team rigged and installed the new equipment; completed all field piping to connect the condenser, economizer and refrigerant lines; completed all power and control modifications to tie the new unit into the existing system, and reassembled the workstation and corridor openings. To insure that the work was completed by Sunday night, up to 60 Elliott-Lewis employees were utilized over the course of each 52-hour long coordinated operation. 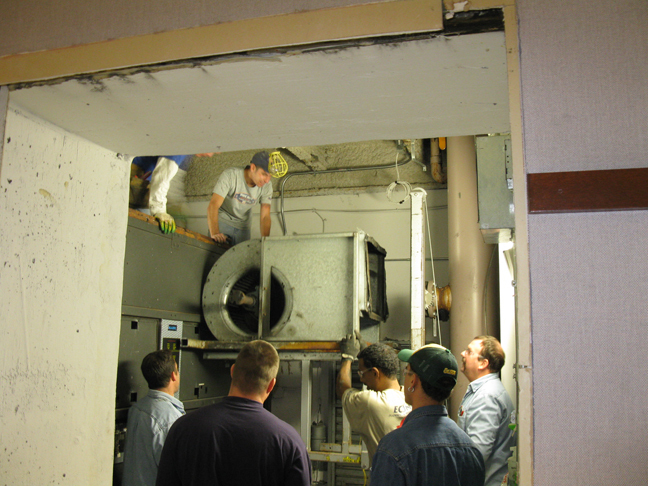 The new equipment utilizes current technology, including R-410 refrigerant, variable speed drives for the direct drive fans eliminating the need for fan bearings and fan shafts, a robust direct digital control system networked to a front end, stainless steel condensate pan and coil supports and trim, and a cold water economizer coil. 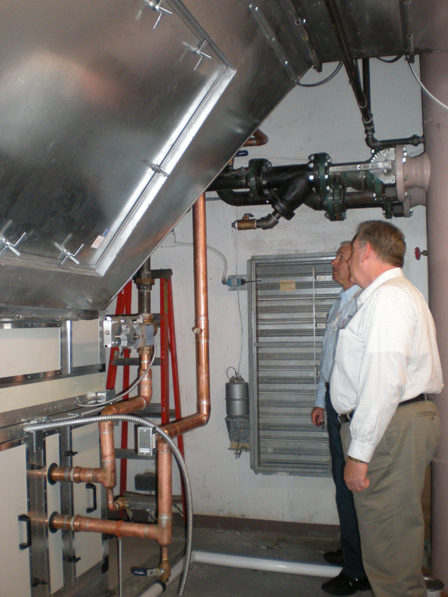 The system is 15 – 20% more energy efficient than the previous equipment.